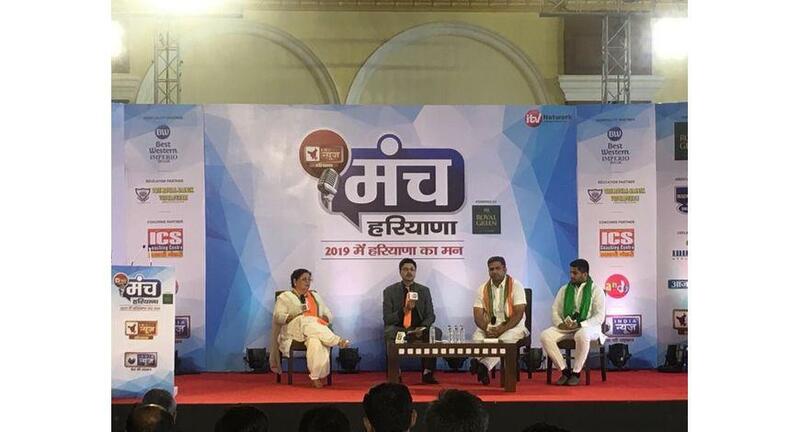 India News Haryana today hosted another session of, ‘Manch Haryana – 2019 Mein Haryana Ka Mann’ a mega political conclave in Hisar at the Best Western Imperio. The conclave was attended by several political leaders from Hisar, Haryana. The event of Haryana Manch was marked by multiple panel discussions and one-on-ones that sought and addressed several key issues including, agriculture, law & order, development & infrastructure, health & education, youth welfare and employment in Haryana. Haryana Manch is an initiative of India News Haryana, to foster a sense of citizenship and make political processes more transparent and accountable towards the people of the state. In the series, the conclave will be hosted across all the constituencies of Haryana.